Thursday night is the perfect night for art, history, heritage, culture AND a treat at the Hume Hotel, the stunning heritage hotel across the street from the Museum. 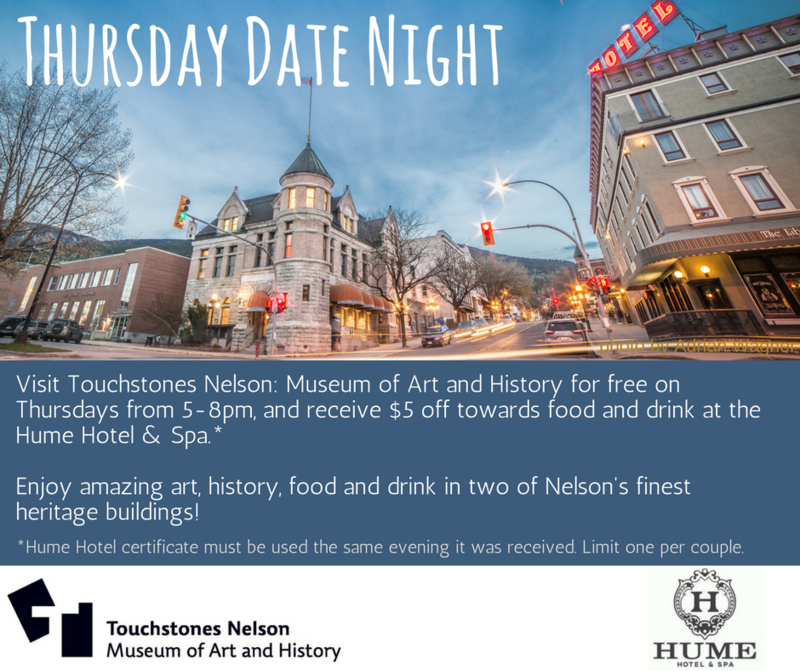 Visit Touchstones Nelson: Museum of Art and History for Free on Thursday evenings from 5-8pm, and receive a $5 off coupon to go towards food or drink at the Hume Hotel & Spa. Coupons must be used the same evening as the Museum visit. Limit one coupon per couple. Date Night does not occur during special programs, workshops, gallery openings, or member events.